It's incredible what the Japanese are inventing! jpens.com has those leads in stock. 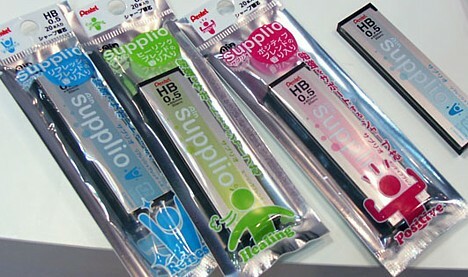 The Supplios are sold at Jetpens.com. I tried them, they really do smell a lot! Is this available in the UK ?? I want some! Maybe in the future they will make colored pencils or one that get you high and help with creativity for artists. I am an aromatherapist but have never heard of these aromatic pencil leads. Hope they're selling in Singapore, going there soon!